... no no, just kidding! But I am wondering though, if a scrappy EPP project will be my 'Plan B' here! How do you feel when this happens to you? Does it happen to you? or do you move onto something more enjoyable? that has happened to me too and after contemplating on it for awhile I moved on - I tried to do the Milleflori La passcagali quilt I can't even spell it right I'm sure - I gave up after a month of it and sold the book and the papers to some one else and in the process of using the fabric in another quilt. 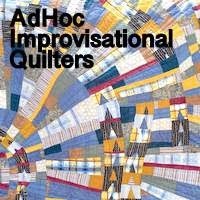 If I'm not totally in love with a quilt I'm making I do most definitely move along! I'm pleased you have begun making the hexagons, I see a beautiful quilt in your future!! I'd put it aside for awhile. Maybe your brain is tired of thinking of fabric combos right now and you need to do some mindless type of sewing. That's what I do and why I have so many UFOs. Eventually everything gets finished because I never give up on any projects started - just rearrange priorities. That dish and the hexies have have me saying WOW! Hi Cathy, Yes, I’m at the stage of giving up here! It’s a pity, I have been really trying this year to tackle things one at a time, seeing them through to where at least the end is in sight. But this WiP is nowhere near that. I always take a long time with my hexie projects. And some of them are changed once or twice during the process. You have to like what you do. Sometimes you don't like it even though it has beautiful fabrics, as your hexies have. Good luck with your decision. Oh yes, I agree, you do have to like what you are doing! And I do love this new EPP project. 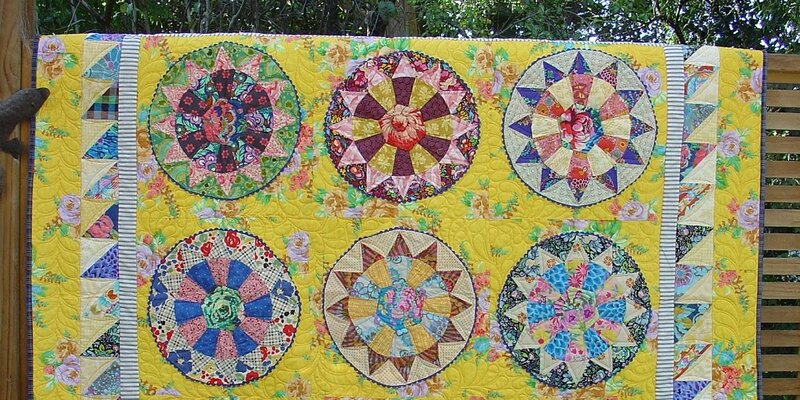 It’s an earlier machine pieced star project, using these same yummy fabrics that I’m having all the trouble with! I think I will leave it for a few days/weeks, just ponder over it, and then decide. If I don't like how it's going, I will put it aside until a solution comes along. Sometimes, that is a long wait! But, I can't push through something that feels wrong, and honestly, I don't think it's good for you to ignore your intuition. However, I do love the fabrics you have here! Good luck! omgosh the picture with the soft fabric prints and the soft colored dish... so pretty! Want a little EPP candy?? pass the dish! That is hard when that happens, but I think it happens to all of us. Just like the others above, I wouldn't feel bad setting this project aside for awhile and working on something else. Your dish of hexies is so pretty! I have had projects percolate for years. Some just need a bit more time to come together. Thanks for sharing with Oh Scrap! I really like your fabrics! I love the photo of your hexies in the dish - so pretty! Unlike most people here I can't leave something alone if I don't like it - I have to fiddle and worry away until I've worked it out (though this can be an infuriating process). I like your bright stars a lot - have you tried using something less low volume-y for the filler triangles? When I get really stuck I consider literally everything I can find. Something usually works. I lOVE your fabrics for the hexi's....what are you using??? I love hexagons and have my own stack of flowers that need sewing together. I’m using Victoria Findlay Wolfe's 'mostly manor' fabrics for these hexis, bright & beautiful! that photo is yummy... a bowl full of happiness right there!